Jones, McAden & Associates (JMA) is an association management, public relations and lobbying firm that has operated since 1975. JMA is an established business with innovative 21st century solutions. JMA prides itself on its personnel’s expertise and desire to satisfy clients. JMA provides complete association management services for groups too small to hire a staff and operate an office, but too large to be run effectively by volunteers. JMA offers complete services including administration, newsletters, directories, media relations, lobbying, meeting planning, conference planning, bookkeeping, membership, special events and any other services required by client organizations. Experience with various government agencies gives JMA insight into state government and the legislature. Working closely with our association management team, our clients’ leaders know we provide progressive action in the association’s activities, membership and participation in events throughout the year. Through this working relationship between association leadership and staff, members see JMA as its own and accept the office at 826 Assembly Street, Columbia as the groups’ headquarters. Public relations is the relationship between the JMA staff and its clients. Understanding client aims, putting together the right message and placing those messages where they need to go are the guiding forces with JMA public relations clients. Social Media is important in today’s work place. JMA will keep you in the public eye on Facebook, Twitter, LinkedIn and other sites. Lobbying is about getting a position to decision makers on issues important to the client, with the anticipated outcome of having that position prevail. 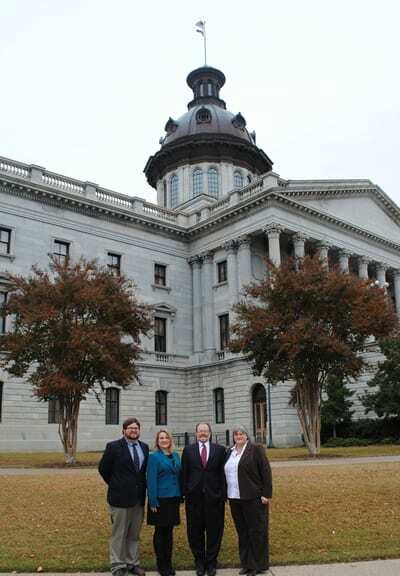 Knowing the governing body, whether the US Congress, SC General Assembly, a state agency or a city of county council, is imperative for success. JMA has lobbied for many years, all the while gaining the knowledge and experience to be effective. The company has helped clients identify and clarify issues, prepared a lobbying plan for success and implemented those plans including preparing legislation, writing presentations, making presentations to decision makers and developing grassroots activities to influence those make the decisions. How can JMA move your association to the next level?